To make the dressing, mix the crème fraiche, olive oil, Dijon mustard and juice of 1 lemon together. Season with salt and pepper. Fry the potatoes in a pan with sunflower oil on a medium-high heat, and cook until the potatoes begin to go crispy. Add the smoked salmon to the potatoes, stir, and remove from the heat. 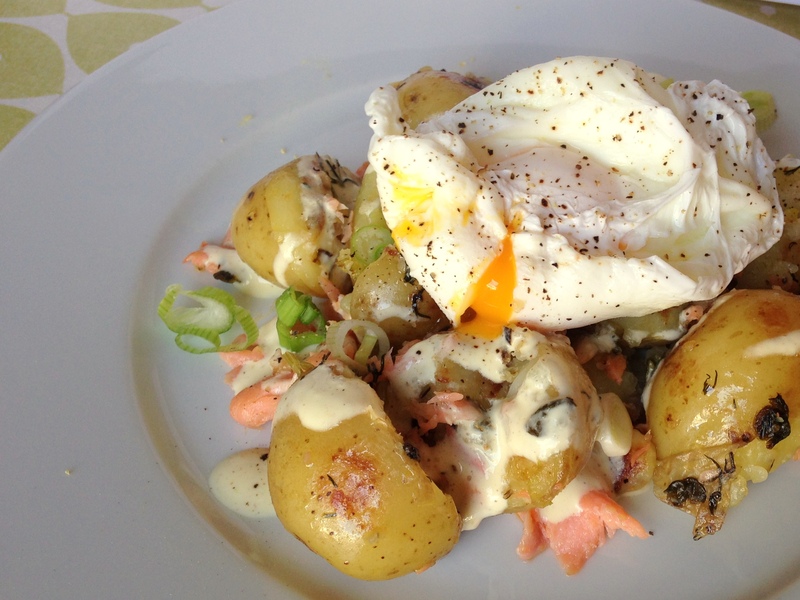 To serve, place some potato mix on a plate, top with dressing, poached egg and some fresh dill.